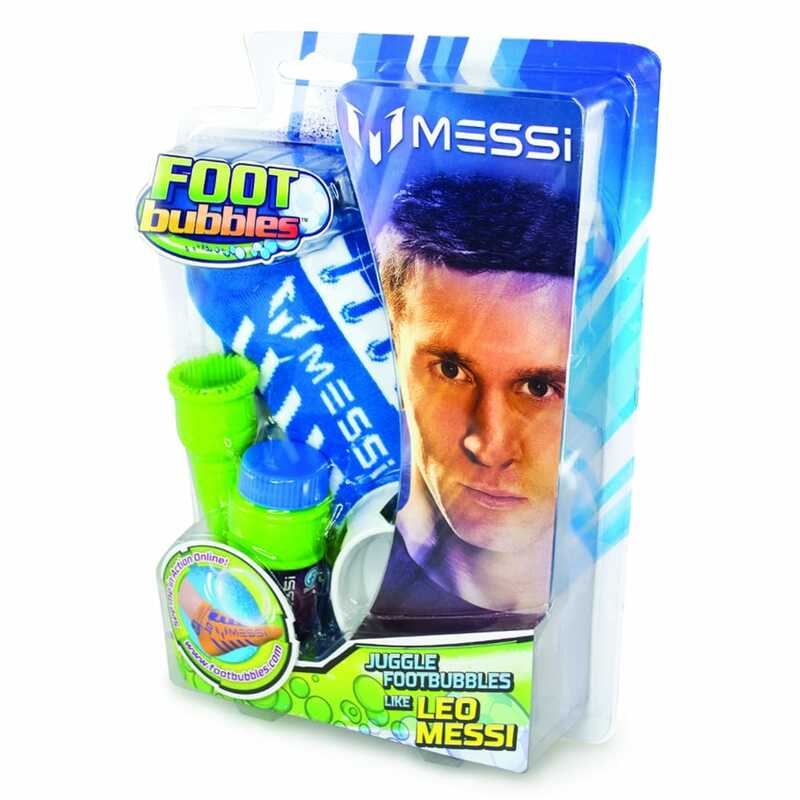 Become your footballing hero Lionel Messi with the Footbubbles socks based on his latest boot designs and using the unique bubble solution that does not burst when you perform keepie-upies, around the worlds and other tricks just like Messi! Simply pour the special bubble solution into the football solution tray and dip the wide end of the bubble blower into the bubble solution. Hold the bubble blower slightly downwards and blow slowly, creating one bubble at a time. A bit about the brand: Lionel Andrés Messi Cuccittini is a Argentine professional footballer and now adds his name to a range of exciting toys for young aspiring footballers.